Cherries. Blackberries. Blueberries. It's good to be back, you know, but it seems we are all Ghouraba(*) here now. 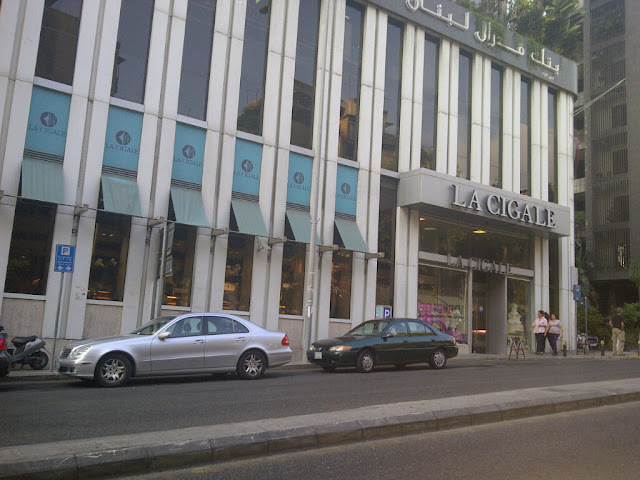 How I loved La Cigalé, at day time specially. "...Here was the one place they could truly feel alive." Once I literally ran all the way from the library to get one of those tartalettes with glazé on the top. I wasn't particularly fond of sweets, or I am not; the taste is icy, somewhat piercing, but I loved the colors. Eman was here too, she loved the chocolate cakes, or rather, the textures inside them; it was a long time ago, that day when we met a certain famous writer. How long did it take us to get here? I can't recognize anything. "To be sure, the maze of old alleys that had perplexed Poujoulat still survived, leading Henriette Renan to remark in 1861: 'To know where one is in Beirut seems to me an impossible problem'". Did you read Maalouf's latest novel? I heard he came back too, in his dreams. "The novel begins with a phone call, that Adam answers, the main character in the story, and thus, it is also the writer's double." I think it's something about his best friend, who was dying somewhere nearby. "Locked up in a prison cell by the patriarchate, in Qannubin, Shidyaq succumbed to privations and mistreatment after a few years." Reading an old newspaper, eh? It's good to pass the time; this is a rather long road. "Eventually they found him... That is how it ends, or at least some hope so, the last act in this shame comedy that began one day in March 1985, when Michel Seurat was kidnapped, him and his colleague, the journalist Jean-Paul Kaufmann, along the road between the airport and downtown Beirut." You know Saad, it's strange, I hear the jolts, the crowds, the cars, tip-toeing, but it is as if there was no one here, not a single soul, except you and me. "In the heart of the old downtown -between Place des Martyrs, Place de l'Etoile, Rue Foch, Rue Allenby, and the Tawileh souq -the only pedestrians were stray dogs." What? The resistance? Ha. "We don't need any Zionist hostages, we're all the hostages in this country anyway". Yes, Saad, you're right, and anyway the Israelis bombed the synagogue and everything else in 1982, so we have nowhere to take the prisoners of war to in case they want to invoke their own supersititions. Bassita(**), Michel,bassita; you must be on the way home, if not there already. Tell your wife this was like the army, that you had no choice. I tell you what, Saad, these were the great names of Beirut, the great thinkers. Lupercus, Publius Egnatius Celer, Strato, Marcus Valerius Probus, Hermippus, Theodorus, Lucius Cavenus Taurus. The sages from the School of Laws. The rest of the names I can't remember. Who knows what happened here? Who is young enough to remember it? "After the tablets of Tel el-Amarna and the letters ofUgarit, centuries passed without any mention of Biruta in a written text [...] Two possible explanations have been advanced in this regard: either Biruta was destroyed in the course of the invasion by the Sea Peoples in the twelfth century, or it was annexed by a neighboring city, perhaps Byblos or Sidon." It's not so important. Oh, yes, the novel, I was in the middle of telling you. Let's continue with that. "What is then the real reason for returning to this beloved country, whose name I'm afraid to mention?" You know, the other day, George asked Susan if he would ever get to see the Holy Land. I don't know. What do you think? "Unavoidably, being only one or two days distant from the places that saw the birth of Christianity, Beirut was a point of departure in its expansion and, if one considers the Holy Land in the broad sense, actually a part of this land." That I remember. Were you there too? The parties on the roof, belle epoque, the empty streets, it was an ocean of sleepwalkers, one more beautiful than the other. Ah, that July. How to forget what it means to be saved? Isn't that what heaven feels like? "Military victories, the traditional reason for public celebrations, were no longer available to the empire; but there were more than a few occasions to hold parades and declare holidays, which made it possible in turn and in spite of all appearances to the contrary, to maintain an image of power and to indicate its extent." This was such a beautiful journey, you know. George, you mean? Oh he was busy, he couldn't come this time, maybe he will come tomorrow or the day after. No, no, he is not like Godot. He always comes, in fact, he didn't even have to come once, he had been there from the very beginning, it's just that I didn't know it. Would you like to come with us next time? "The novel ends in darkness, solely with the purpose of showing that 'the disappearance of the past is something one can find consolation for easily'; what is inconsolable is the disappearance of the future as well." No, Saad, it might take hours from here to the square, let's wait. "That he should die there was perhaps inevitable. "Why don't they leave us alone now?" one of his young neighbors asked me before the cops towed Kassir's Alfa Romeo away and his followers spread a sea of candles across the road. "Why must they go on using this methodology of murder? We have to stop this. Are they trying to drive all the young people out of Lebanon?" Not longer after Kassir's killing, his colleague and editor at An-Nahar was atomized by a car bomb in eastern Beirut. There were twelve political murders at this time -a dozen in just three years, including that of Kassir. No arrests, of course. There never are in Beirut. 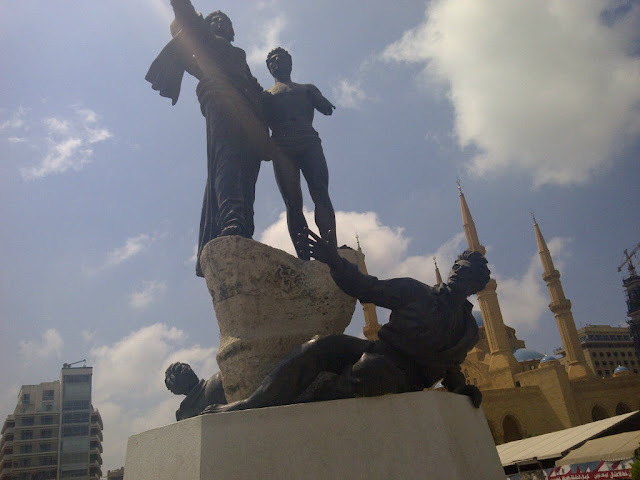 Warm and gentle Beirut may be. But tough and cruel." What does it mean, Michel? What does it mean to regret when you had no choice? *Ghouraba: Lebanese expression to refer to Arab strangers, used pejoratively against Palestinian and Syrian workers. **Bassita: Lebanese expression: Don't worry; Take it easy; It's fine.